Alright Mama, so you made the choice to homeschool. You’re ready, you’re committed…. You have no idea where to start. That’s okay. You have time. For now, take the kids to the library, and let them grab a bunch of books. Taking a week, or two, or even a month or two to do nothing but read and explore the world around them independently is not going to ruin them or throw their education off track. 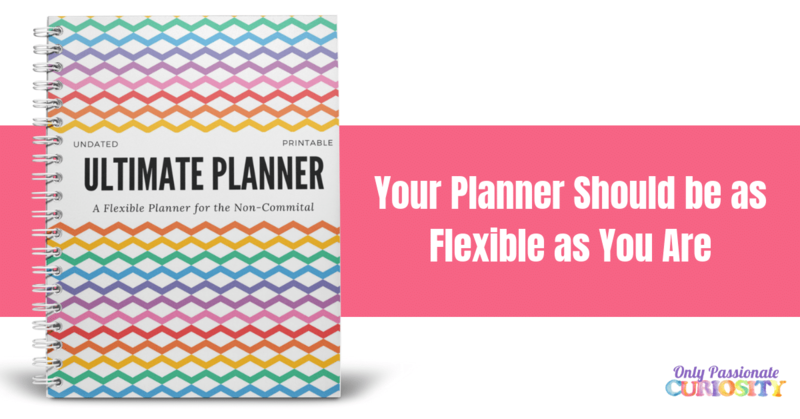 If you are really worried, hand them a workbook for math or subscribe to an online learning program while you start planning out your homeschool- but DO take a step back and give yourself time to plan. Before you do anything else, you need to take a moment to think about yourself. You know that saying, “If Mama ain’t happy, nobody’s happy”? Well, that’s true with homeschooling too. Before you get started buying curriculum you need to take a moment to think about what your goals are for homeschooling, and come up with a game plan to accomplish those goals. Do you want more time outdoors? More freedom to learn what you want? More rigorous academics? More time as a family and more focus on your beliefs? There is no “one way” to homeschool. There are many different philosophies on education, so before you start looking for a curriculum, it is helpful to see which philosophies line up with your personal beliefs, wants and desires for your homeschool. Charlotte Mason was a champion of embracing the simplicity and beauty in the world. Her ideas consist of encouraging the children to spend ample time outdoors on nature walks and to play where they can learn about this planet by feeling their toes in the grass and their hands in the dirt. Her appreciation for all things beautiful applies to education as well. “School work” is done using “living books”- books that bring the topic to life through stories, images, and beautiful literature. No boring, dry textbooks are used here! Lessons are short, purposeful, and developmentally appropriate. Attention to detail and quality of work is paramount. Children are expected to do narrations, copy work and take dictation in their best penmanship. Children are thought to think and reflect, and keep journals. Working on “handicrafts” is also important, skills like sewing, cooking, knitting and making other useful items is taught at a young age. “Twaddle” (books and experiences containing no inherent value or beauty- think Captain Underpants) is avoided. You can learn more about Charlotte Mason Education from reading her original works, and at Simply Charlotte Mason. To see how one family uses Charlotte Mason’s ideals in their homeschool, visit Our Homeschool Studio. The classical method of homeschool basically goes back to the “old way” of doing things. And by old, I mean old. In roman times, education was based on the trivium. The trivium is basically the idea that knowledge is acquired in steps based on the readiness of the child. The first step, the grammar stage, is based on learning the “what”. When a child is young, they are like little sponges. They memorize things easily, and they soak up facts and details. The goal of the parent is to help the child ask questions and seek out knowledge, as well as absorb the facts that have been given to them. This is the time to teach them the little pieces that make up the framework of a solid education. The next step is the logic stage. In this stage children begin to think critically. At this point in their development and education, they begin learning the “why”. They start to connect the dots between things they learned previously, and see the patterns of cause and effect. As the child matures, they are able to make connections and form an understanding of relationships, both personally, and in their studies. The last step is the rhetoric stage. In this stage the student is ready to not only look at something critically, but they are able for form a conclusion, and express it eloquently, convincingly, and originally. At this point, they are able to judge the material in front of them, and really understand motives, and are able to have deep, philosophical conversations about the world. The classical model is based in language, and is reliant on the child learning to understand language, and express himself well. It acknowledges that all the subjects are interrelated, and allows for “rabbit trails”. This educational philosophy acknowledges the importance of philosophy, logic, critical thinking and history. Unschooling families believe in embracing the child’s natural curiosity and thirst for knowledge. They don’t rely on a curriculum to teach, rather they look for teaching moments in real life. Unschoolers provide a supportive environment for their children to learn, and allow them to “teach themselves” through experience and practical situations. For example, a child can learn math by cooking, selling lemonade, and counting objects around the house. Science can be learned by observing nature, or taking apart found items. History can be learned through travel. Children can learn about anything they want, and they have a freedom to explore their interests. Parents do not stop teaching their children, they still help them find educational moments, but this is done by following the child’s natural fascination with the world. Delight Directed Homeschooling is a little different than Unschooling. Delight directed homeschoolers also follow the child’s natural curiosity, but rather than relying on mostly organic learning experiences, they will also bring in more traditional educational methods, and use curriculum to help explore topics more deeply. Both Unschooling and Delight Directed homeschooling allow for deep exploration of topics. They also allow each child to learn and develop at their own pace, and allow large amounts of freedom to really experience the world around them. You can read more about Unschooling at the Natural Child or by reading the Unschooling Handbook. You can explore Delight Directed learning with this ebook. 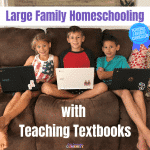 To see a Delight Directed Homeschooling family in action, visit Sara’s blog at Embracing Destiny. The Montessori Method was founded by Maria Montessori, MD. She recommends children learn through “purposeful work”. This method strives to prepare children for the real world by teaching them real world skills. Materials are carefully chosen to allow the child to learn through work. In a Montessori Homeschool, many of these real world skills are taught by example, allowing the child to see the skills and mimic them. Children are not forced to work or learn a skill, but choose to do so because of the parent’s example. Montessori Homeschools value teaching independence and responsibility. This is a good choice for parents of young children, because you can start teaching with the Montessori Method as early as 2 or 3 when children are naturally interested in mimicking their parents. You can read more about the Montessori Method from Maria Montessori’s works or at Michael Olaf’s Montessori. To see a Montessori Homeschool in practice, visit Lisa’s blog at Our Country Road. Some families choose to follow a traditional (think public school) model of education, following the standards or scope and sequence of their local schools. There are many textbooks and workbooks that allow this kind of learning at home. There is also an option of virtual public schools, which allow the child to learn along with a public school teacher from the comfort of their own home. Many of these programs are computer based, giving the student the independence and responsibility to study on their own, and easing some of the homeschooling parent’s burden. Parents still facilitate learning, provide encouragement and oversight of the program. You can learn more about using virtual public schools by reading the National Primer on K-12 Online Learning. To follow a common scope and sequence, check out the “What Your ___ Grader Needs to Know” Series. Unit Study Based Education Unit Studies are based on the idea that subjects such as language arts, math, history and science are not separate, but rather intertwined in the real world. Families who use unit studies as the base of their homeschool pick a topic of study and use it as the basis of all other learning. This method works well for children who like to “follow rabbit trails” and learn deeply about subjects. For example, a family doing a unit study on electricity could study the science of electricity, the history of the discovery of electricity, write a paper on Ben Franklin who discovered electricity, and do calculations in math related to the science. Everything is interrelated. To read more about Unit Studies, check out this guest post by Valerie Bendt on Weird, Unsocialized Homeschoolers. Waldorf Education is based on the works of Rudolf Steiner. Teaching is based on an understanding of child development, and is specially planned to work with the “whole hearted child”. Waldorf Educators work with the whole child, their minds, their hearts and their hands. This method focuses on the rhythm of the world and of seasons, as well as maintaining a rhythm for the child’s day. Educational concepts are taught through images, movement and stories rather than through traditional textbooks which helps children learn enthusiastically. Creativity is celebrated. Electronic media such as TV and video games are limited and children are encouraged to be creative and imaginative. Children tell stories, learn myths and fables, enjoy art and music all while maintaining their sense of childhood wonder. You can learn more about Waldorf Education at Why Waldorf Works. Many homeschoolers see that the different homeschooling methods all have different strengths, and can’t choose between them. Luckily, one of the biggest perks of homeschooling is the freedom to do what works for you. You can pick and choose from the different methods and curriculum providers to put together a program that is uniquely YOU and the perfect fit for your family. I know this is a lot of information. You don’t need to pick a philosophy today. Hopefully, one of them spoke to you, so you can start deciding on goals for your children as you homeschool them. Finding what works for you may take a little time, and you may have to re-think your plan a little before your first year is up. It’s okay to start slow. It’s okay to take a little time to research and “find yourself” as a teacher before you jump in and start gathering materials. This post is the second in a 6 week series . Next week, I’ll talk a little about your student and finding what makes them tick. As always, join the conversation on Facebook, or leave a comment here if you have any new-to-homeschooling questions I can answer in this series! I have been homeschooling for five years now. 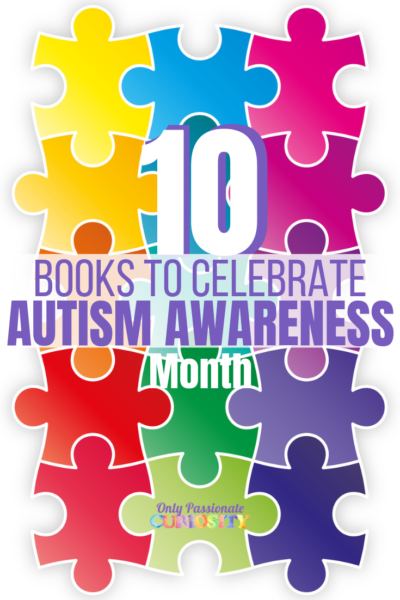 I started just with my son for two, then pulled my daughter from public school to homeschooler her along with my son. and now my first three are all being homeschooled. I say this to vent about feeling like I skip around with all the above methods and still feel like I am not doing anything right! I really love this sight, sometimes reading all of this information and ideas just makes my head want to explode, knowing now all of these wonderful ways. I feel like a failing homeschooling mom. Any advice? Joelle, I am so sorry you feel that way…. and I want to start this reply by saying I feel EXACTLY the same some days (and, um, sometimes, for whole seasons). I think it’s a natural thing for us as mothers to feel like we aren’t doing enough- but the truth is, each one of these “ways” of teaching is described in it’s perfect form. I LOVE the idea of classical homeschooling, but I don’t know if I could ever pull it off 100 percent. If you’re like me (and it sounds like you are) and try and take some things from each different way to homeschool, it can feel even more impossible. The simple truth is there is NO WAY you could do everything that is “recommended”… you just have to find what works for you and yours. Every homeschool is different, every family is different, and as long as you are doing your best, and the kids are learning and growing, I would call you a success. It sounds like you maybe need to just take a step back, look at what you’ve been doing for the last five years, and make a list of what WORKS. And then consider what isn’t working- and ditch it. For me personally, as much as I WANT to read my kids the classics, I hate reading aloud. 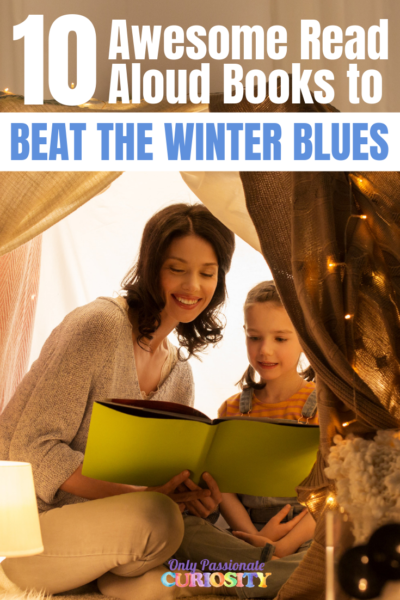 I spent a good amount of time feeling like I sucked because I wasn’t reading aloud enough, and trying hard to fit more read aloud time in…. but in the end, I realized I just need to get those darn classic novels in audio book form, and enjoy them with the kids together. I can still model a love for reading by reading to myself, I can still do a picture book with the little ones, but did I fail by outsourcing the novel read alouds? Naw…. I made the call to let myself off the hook. Let yourself off the hook. Really. The kids are learning so much more than you are probably giving yourself credit for. Big, Big hugs to you- and thanks for the comment! Heather, thank you for you replay. Today when we went to church, the whole service was about trusting in Gods ability and not your own. Taking leaps of faith, and knowing we are capable in Him. When we do our best to do what He is asking us to do, he covers the rest……it was everything I needed to hear! just getting started and so many well intintioned friends have given me websites, support groups, where to find curriculium and many other helpful hints. I so appreciate this site and all that was shared has set me at ease and now I know my next step is to set a goal and plan for my three childrens education at home with me. It was encouraging to know that I did a good thing bringing them to the local Library to get books and get reading while I figure out our next step on this journey. Thank you so much. I will keep this site information. Taking your time is always a good choice! I hope you have a pleasant transition to home, and your kids enjoy their time reading as you plan the next step. Best of luck, I hope you love homeschooling as much as I do! Thank you for putting all of this information in one place! We are just beginning our home school journey and this had eased my mind quite a bit. 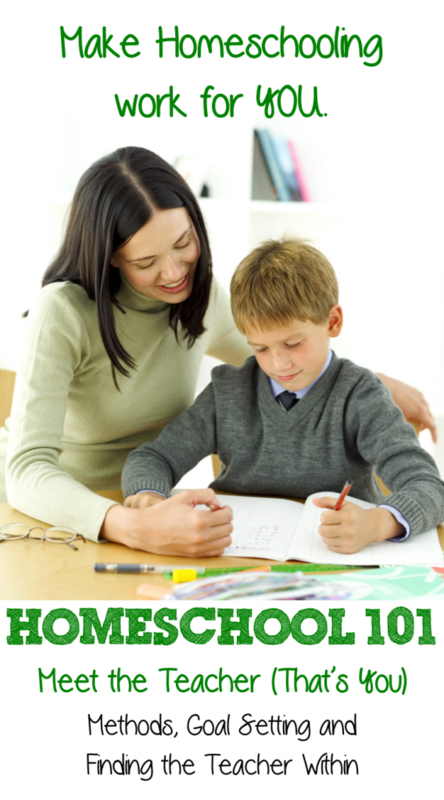 There is such a broad variety of homeschooling methods it makes it hard to just pick one. Nice summary! I’m in the eclectic category too. Great list – I am going to share it on FB.